You simply cannot go wrong when you top your tree with a star. They are the timeless choice of Christmas decorators, and our Tree Top Stars have both simplicity and timeless design to help you make the most of your Christmas tree. Top your tree with one of our beautiful tree top stars. They have texture and colour and are available in blue, burgundy, green, or orange. Each star has a stamped inner and outer star, with an offset glitter encrusted middle stars. 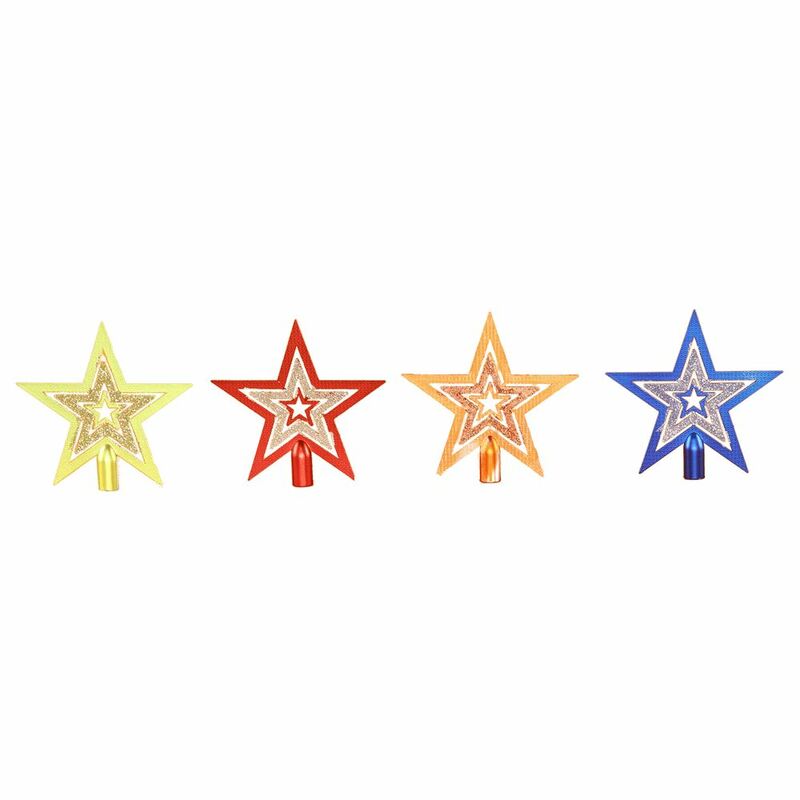 These are affordable Tree Top Stars so why not buy two and alternate your colours each year. Take your star down at the end of each year and store in a dry place and you’ll get years of use.